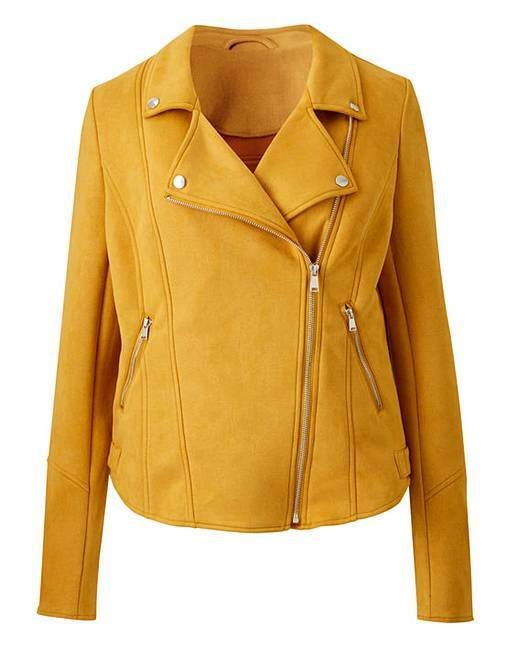 Ochre Suedette Biker Jacket is rated 5.0 out of 5 by 7. Give your look a re-vamp in this season's new take on a classic Biker Silhouette. 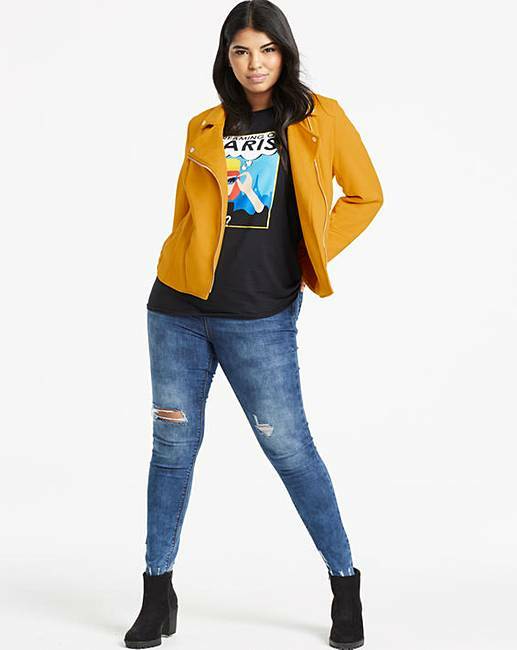 This super-soft Suedette Jacket with statement shiny metal trims, an asymmetric zip and a flattering curved hem will transform your outfit and give it that little extra something it needs. 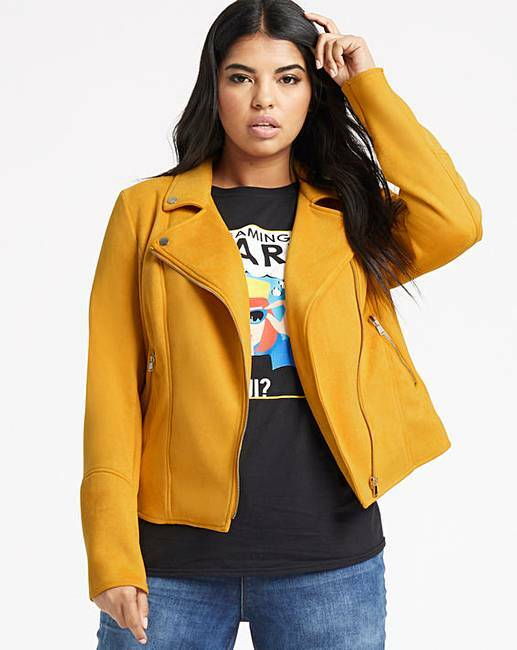 An easy wear jacket which is the perfect piece to add effortless style to any outfit, our Suedette Biker Jacket is a key trend piece we can't get enough of. Rated 5 out of 5 by Mags78 from Bought For or A Friend Good quality , nice colour , true to size . My friend just loves it very stylish! Advice from my friend first wash, wash separately. Rated 5 out of 5 by Millie from Love It! I bought this and was so pleased, great colour and fit. Rated 5 out of 5 by Foxy from Great jacket Great fit, lovely on trend colour, can’t wait to wear.